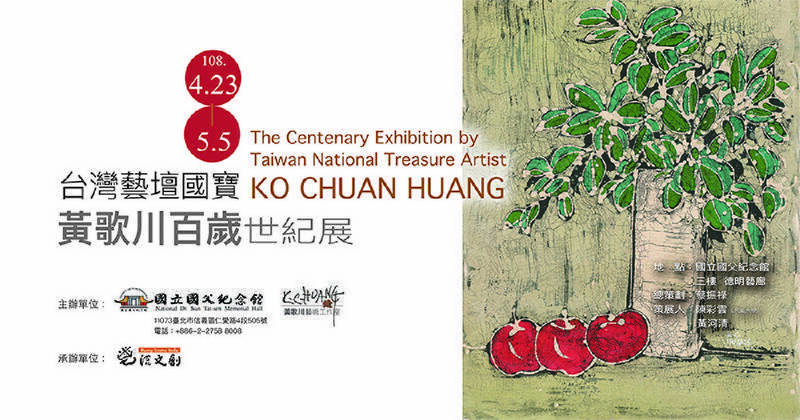 OpeningDate: on Tuesday, 23 April, 3 p.m.
First emerged in the 1950s, a renowned elder statesman of Taiwan’s art circle and an important force in Taiwan Modern Painting Movement. Participated in the Bienal de São Paulo in Brazil and an official exhibition of Spain; honored with lifetime “exemption from censorship” in the National Arts Exhibition of Taiwan. 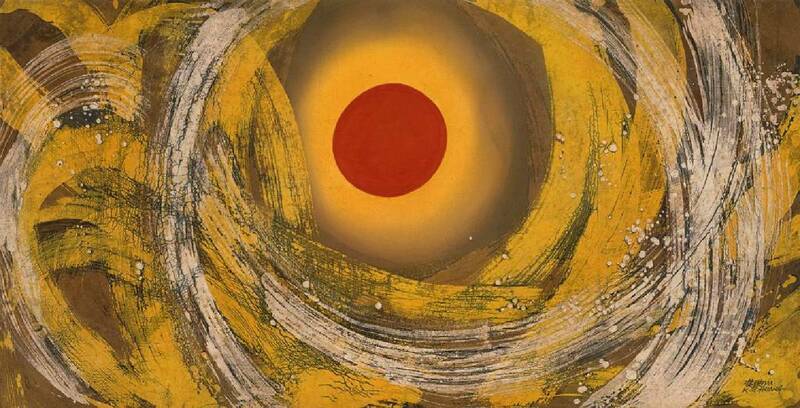 During 70 years of his artistic life, he had achieved many milestones. An original technique that changed the direction of Batik. He elevated traditional handicraft batik into a pure art form while infusing it with new life. In this way, He made an indelible contribution to the Asia development of batik art. 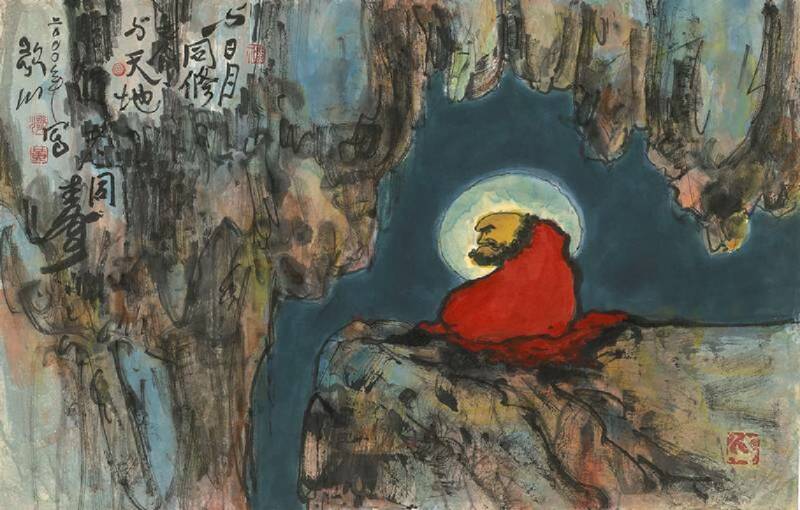 The portrayal of Bodhidharma in various forms conveys the spirit of Zen, creating a new style in Zen Painting. He sought to convey rich conceptualizations imbued with the profundity of Eastern Zen Buddhism through the appeal, romance and charm of ink lines. Instead of using water-ink on paper, applied oil paints on canvas, blending Oriental and Western aesthetics to internationalize Chinese painting. 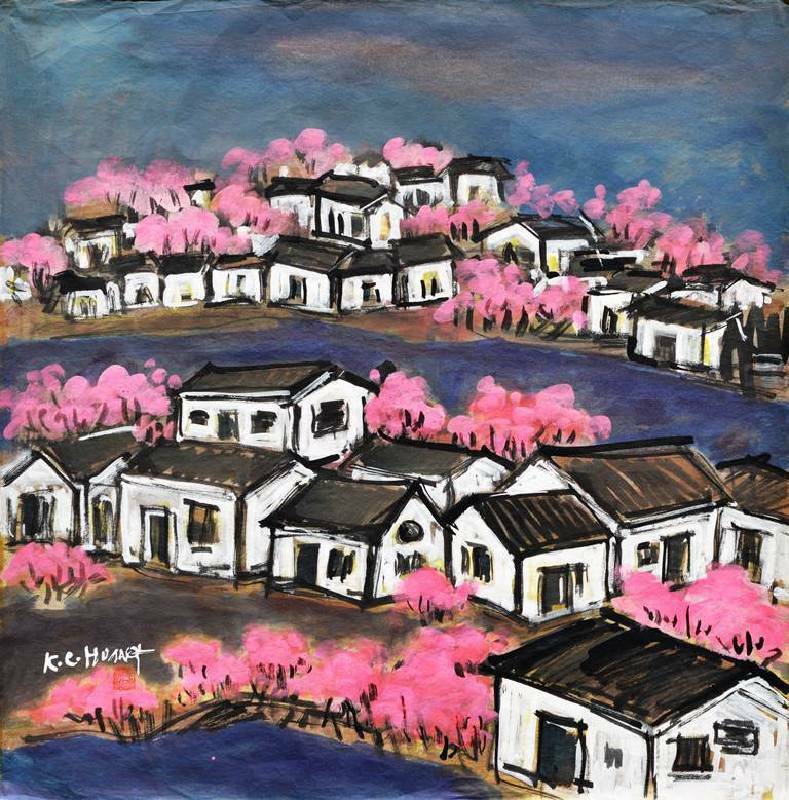 He wanted ink painting to be the equal of Western oil painting and one of the main forms of global painting embraced by artists around the world. Create a new-type of aesthetic appearance through blending technique. 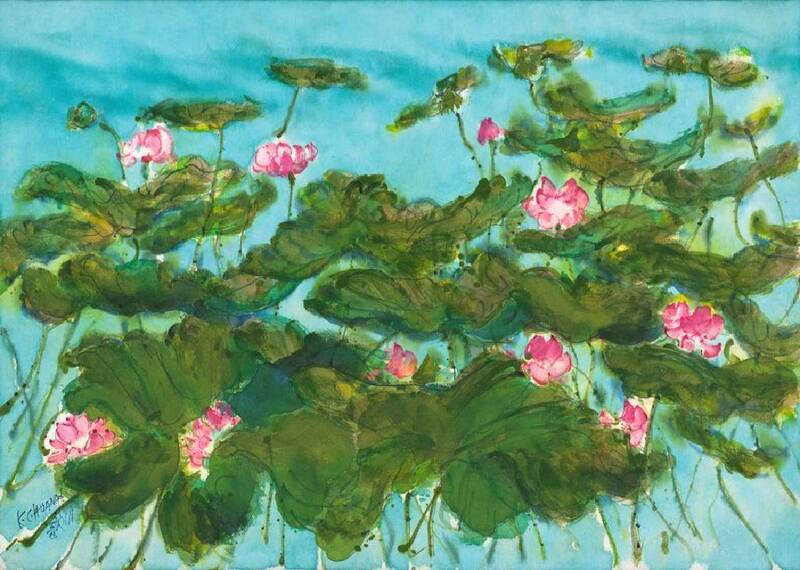 He broke with the Chinese tradition of painting lotuses on paper, preferring instead to use a special canvas, Western media and painting tools.